Creative Destruction is a FPS/TPS sandbox survival game made by Titan Studio that combines Battle Royale with a constructive concept. 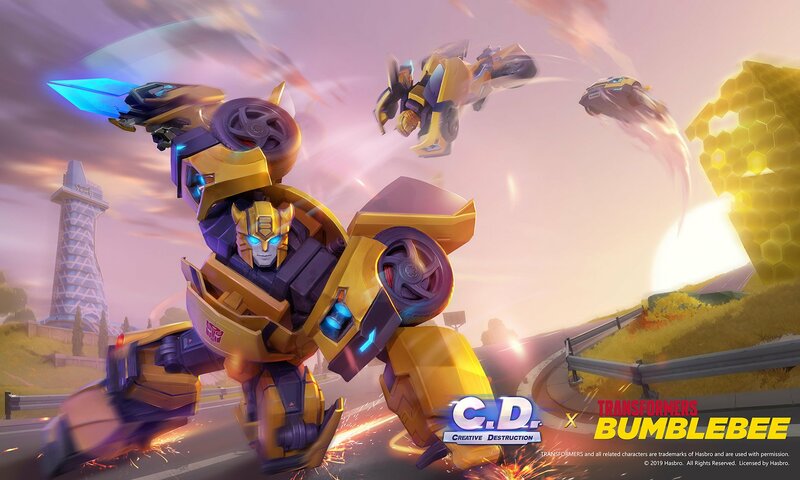 Creative Destruction will work with Hasbro to host a special in-game event featuring Transformers’ Bumblebee from March 28 to April 28. 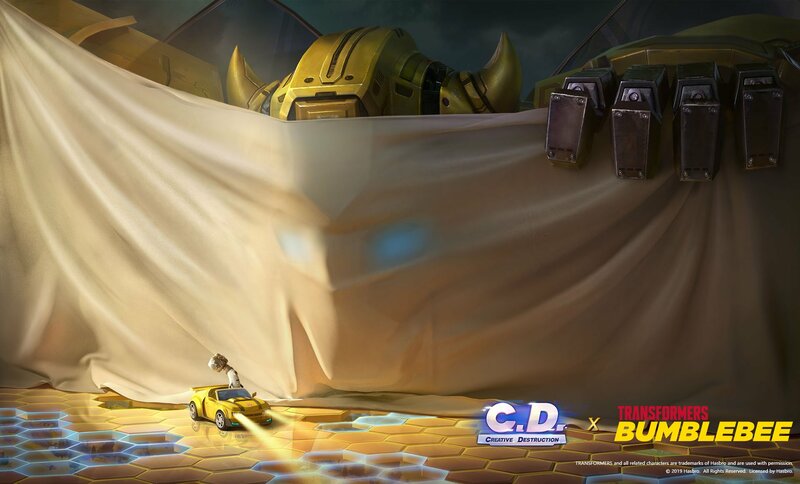 Players will have the chance to battle, shoot, transform and drive as Bumblebee (Evergreen design)! The game is available for download on Steam, PC, and mobile devices. You may check out Creative Destruction official website for the respective links and extra information on the game. Check out the promotional video below and some promotional images after the jump. Then, let us know your impressions on the 2005 Boards! You can even change the art style, with 5 different flavours. I left it at normal. Overall, a somewhat different take on Battle Royale. I’ll eventually try the Android and Steam version. Alright. Whatever the kids want. I’ll try it out, just to see how the game plays, and then wait for Bumblebee to come! Could the site please include the Google Play, Steam, iOS, etc download links in the front page article, please? The reviews there don't seem great, and the quality of language used by the reviewers implies (to me) a rather young age group of player. One user stated that Bumblebee might be region locked. I also can't find any evidence of this game supporting hardware controllers. Looks like Fortnite in the TF`s style. But a bootleg of a bootleg is still a bootleg. Well if we're being completely honest, Fortnite isn't very original to start out with. That sounds like what happens when your playing Minecraft in creative mode, and the players begin griefing. Wow, a cross-promotion with a Chinese bootleg Fortnite? I thought Hasbro hated Chinese bootleg products! And here I thought we hadn’t quite reached peak Bumbler saturation levels only to be proven wrong once again. It's heartbreaking when a studio or hasbro decides to prostitute themselves to mobile games. This is pretty neat. Bee looks awesome here.